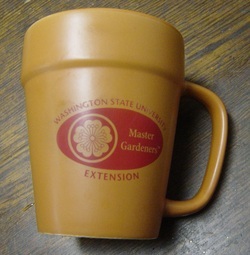 Shaped like a clay pot with a Master Gardener logo. Our pocket magnifier has 3x magnification, it is 2 3/8" in diameter and 5/8" thick. The plastic case completely covers the lens for scratch protection. Lighted magnifier has 20x magnification and is lit by 2 LED lights. 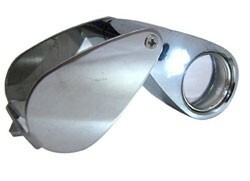 The loupe is encased in polished aluminum and is 18 mm in diameter. If you order multiple units, they will be continuous (e.g. 4 units = 100 continuous feet) However, if the bolt has already been cut into 25' lengths, you'll get 4 - 25' pieces. Agribon 30 is a slightly heavier type of reemay and will last more than one season. 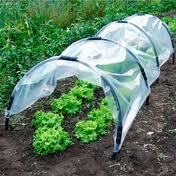 It provides 6 degrees of frost protection while allowing 70% light penetration.